Since I posted the article that suggested that Bessie Brazel’s testimony might be in error and that it was contradicted by that given by so many others, we have been all over the board. Nearly everyone was selecting that data which tended to support their position and ignore everything else. So, I thought I would take some of those points and provide the data available about them. I realize that some of you are so far to one side or the other that any sort of compromise is impossible, but for those who are interested in all the information, I will try to publish a series of articles that look at some aspect of this case. First, I’ll tackle the size of the debris field because it seems to range from a square mile down to an area about 200 feet in diameter. That’s quite a big difference, and I know that we’ll never reach a consensus, but heck; we might have a little fun and learn something by accident. Bill Brazel, who hadn’t seen the debris in the field except for the small pieces he said he had found, also talked of a gouge that ran through the pasture. He said that it was narrow at one end spread out toward the center and then narrowed again. Although he didn’t give us a length of the gouge, he eventually took us to what he thought of as the top of the gouge. Later, during the CUFOS archaeological dig there, we measured down from that point, about three quarters of a mile, placing little flags along the way. 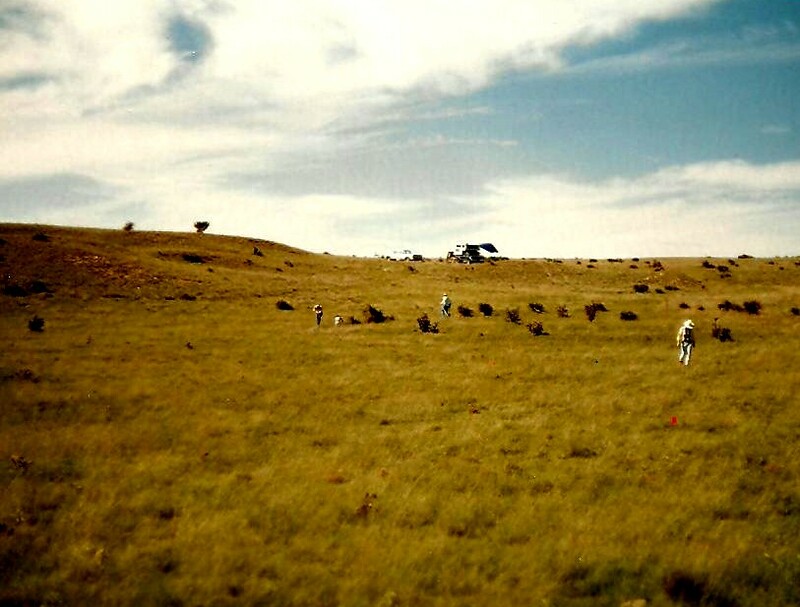 archaeological dig in the early 1990s. Bud Payne, who was a judge in New Mexico, said that he had been out to the debris field but had been turned back by the military cordon. He did get close to it and this would be irrelevant, except he took me out to the location he thought was the debris field. When he stopped his vehicle and we got out, I nearly stepped on one of those little flags we had placed there. We have attempted to gather them all but had missed the last one. Payne took me to the same three quarter of a mile stretch of New Mexico desert and through this provided, to a degree, the size of the field. The most widely quoted size of the field is that given by Marcel. It can be found in a number of books but as noted here, it is traceable to that interview supplied to Bill Moore. We are told, of course, that these memories are decades old and might be unreliable. Studies of memory and how it works suggest that confabulation (as opposed to lying) can often fill in gaps in memory, that each time a memory is accessed it is subject to alteration, and sometimes the memories simply no longer exist, yet the witness (I can think of no other word that fits here because they were involved in 1947) as he or she concentrates begins to put together a story that seems plausible. We do have quite a few newspaper stories that were written in 1947, literally within hours of some of the men walking the fields, so that their memories should be clear and accurate. I say this knowing full well that some of the information given to the reporters was less than accurate and some of it that was published had been misunderstood. 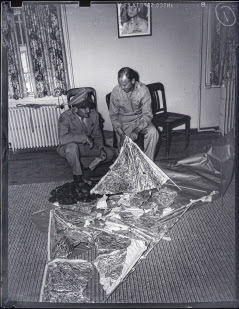 I don’t believe Whitmore’s testimony on this is reliable but suspect there was some collusion between Max Littell of the Roswell museum and Whitmore to come up with some debris, no matter what it was. They talked about creating a display in Roswell, but I don’t believe that Littell had thought that through. 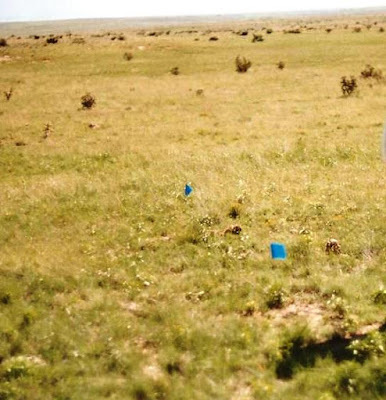 If Whitmore’s debris were pieces of a balloon, as he suggested to Pflock, then the mystique of the Roswell case eroded at that point and not many people would drive out of the way to look at a museum dedicated to a weather balloon. Whitmore had told Moore that the site had been cleaned before he got there but contradicted that when he told Pflock that he saw the debris and even claimed to have some of it. The debris had been locked in his safe deposit box, but when the box grew too full, he moved the debris to his “junk room.” Although searches were made, nothing was ever found. It was just one more bit of debris that vanished. Brazel, according to one newspaper account agreed with that size, saying it was scattered over a square mile of the land. This was in a story other than the one written by J. Bond Johnson. Returning to the Roswell Daily Record, Brazel, it seems, was saying that the debris field was about 200 yards in diameter and the Albuquerque Tribune changed the wording to 200 yards across which is not quite the same thing but is close. The by-line on the Albuquerque Tribune story, as noted, was by Kellahin, so he was apparently working from his notes made in Roswell. All this means is that if you are a skeptic, you have some evidence that the size of the debris field was relatively small. If you are a believer, you have some evidence that the debris field is relatively large. You have the majority of the testimonies suggesting a large field from the record after 1978 but Bessie Brazel suggests it was about 100 yards by 50 yards, or about the size of a football field. Or, in other words, this is a wash. Whatever side you come down on, there is testimony to support it. Not exactly a profound finding but just an observation that suggests there are facts for everyone to cherry pick. Labels: Bessie Brazel, Bill Brazel, Bud Payne, J Bond Johnson, Jason Kellahin, Mack Brazel, Major Jesse Marcel, Max Littell, Sheridan Cavitt, Walt Whitmore Jr.
University of Texas at Arlington, Special Collections. For the record, because some people believe that there is no motivation in the UFO but money, I was not paid for my participation, I didn’t get a free trip to London, and had to use my own electricity to power my computer so that I could be interviewed via Skype. The Debris Field as identified by Bill Brazel as it appeared in the early 1990s. Brazel on the front page of the newspaper. the Albuquerque newspapers [Kal Korff incorrectly claims that there were no pictures of Mack or articles about him on the front pages of any of the newspapers at the time] and realized that his father needed help. When Bill arrived at the ranch, his father was not there and didn’t return for three or four days. 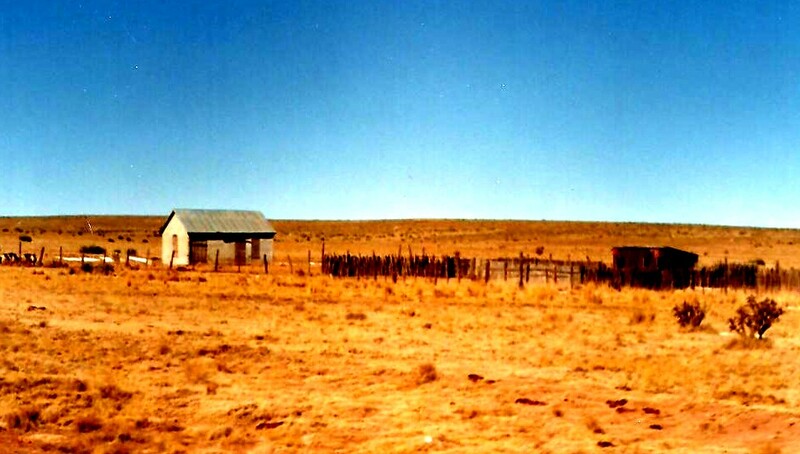 In fact, according to Bill, there was no one at the ranch at that time. Photographs copyright by Kevin Randle. So, I’m making a search of the various cable channels looking for something interesting and stumble onto another of those UFO mockumentaries. This was one had a segment about a UFO attack on the Royal Australian Navy destroyer, Hobart, during the Vietnam War. The ship was hit by three missiles killing two, wounding several and scattering debris throughout the ship. The cleanup uncovered bits of an American made missile that was traced to a couple of Air Force units flying F-4 Phantoms that for some unknown reason were referred to as Phantoms, F-4, in the program. Investigation of the incident conducted by various levels of command in Vietnam, the United States and Australia, concluded that this was an incident of “friendly fire,” and was a horrible mistake made by the American pilots. I mean, they had fragments of the missiles with serial numbers and markings that led to the specific Air Force units that were flying that night. No UFOs were involved and nothing to suggest any hostile intent by the alien beings riding in those flying saucers, at least on June 17, 1968. Seems that in the nights preceding the incident, lights of an unknown origin were seen in the vicinity of Tiger Island that was at the extreme end of northern South Vietnam. It was suggested in various intelligence documents that these lights were helicopters operating near the UMZ (ultra-militarized zone), I mean the DMZ, attempting to resupply elements of the North Vietnamese Army in the area. But unidentified lights in the skies over Vietnam could have been dozens of things from high flying bombers whose lights could be seen but whose engines were lost in the altitude, helicopters of unknown origin flying at nearly treetop level to avoid enemy ground fire, parachute flares, star-clusters, tracers of red, white or green (almost nothing looks bigger than a tracer coming, more or less, at you) misidentifications of various natural phenomena, deception by the enemy, mistakes by the observers, or just flat out delusions. Or, in other words, there were a lot of lights bouncing around the night skies in Vietnam, many of which aren’t normally seen in a more peaceful environment. UFO proponents including the late Bill Cooper decided that these lights were alien spacecraft and they were the cause of the missiles that hit the Hobart. 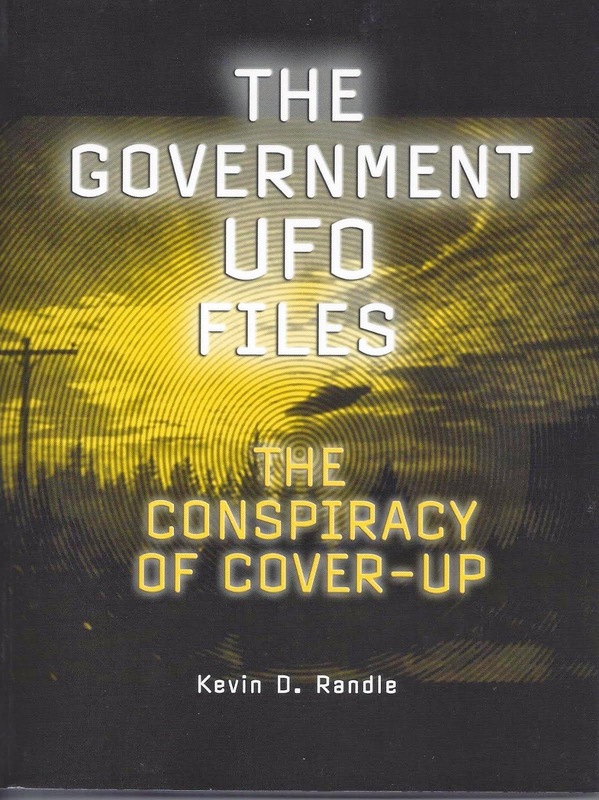 Oh, the UFOs didn’t fire them, they caused the missiles to bend around or interfered with the targeting of the missiles that forced them to change course. The US missiles then struck the Hobart, and other ships in the area. Cooper said that he knew the lights were not enemy helicopters because the enemy would have never. They didn’t fly helicopters into that area. Except, of course, the enemy sometimes did fly helicopters into South Vietnam. One of our gun teams (meaning one of the gun teams assigned to the company I served with) chased a French made helicopter into Cambodia that was operating on the South Vietnamese border near an area known as the Angel Wing. At the time that invisible line of the ground was stronger than any wall ever built and our guys broke off the chase. The point is that sometimes you saw some strange stuff that had nothing to do with UFOs. which is not to say that I'll have an answer for everything. The page is still up so although the specific time has expired, I do check it periodically in case new questions have been added. Well, sort of. There is a general shape that matches and it is off the coast of Brazil and that’s about it. I thought that if you looked hard enough you might find some other place, but these treasure hunters have decided that Snake Island is the right place. This is the Treasure of the Trinity, which is supposed to be worth four hundred million dollars, or thereabouts, but I don’t know if that was sixteenth century money or modern money, which makes little real difference. Four hundred million is a pile of cash, or in this case gold and probably some silver and a few precious gems thrown in for good measure. Anyway, we are treated to the treasure hunters’ attempts to locate the treasure. Sometimes they are diving off the coast searching for clues and other times they are traipsing around the island while saying, “There’s a snake… there’s a snake” and there are a lot of them on the island. This was beginning to remind me of Oak Island where we have lots of time spent with little payoff but in the last episode here it seems that they might have discovered the cave where the treasure was hidden. They had found old stone carvings that suggested where to look on Snake Island, but then Oak Island had those carvings and in two seasons they found what, two old Spanish pennies worth a few bucks each? Well, not really because they find a series of dots carved into the stone that look like a constellation and this might be a clue. Back on the boat, they decide that the dots refer to a Brazilian river and the treasure might have been moved there… I would think that having the snakes around to guard the treasure would be a real deterrent to anyone thinking of taking it (though no one on the expedition was bitten) but then, if that was true there is no treasure to find in the next season, or any reason to return to Brazil. So, once again we have a big search that turns up little other than some clues carved in stone on an island that is out of the way and very dangerous. We have hints of something big, but in the end, we have nothing at all, other than those stone carvings and what looks like the top of a treasure box. But never fear, if the ratings were high enough, why next season, we’ll have them all mucking about on the mainland, with all kinds of new dangers as they search for the new location of this lost treasure. Who Told Walter Haut about the Debris Field? the time, it seems that Major Jesse Marcel, Sr. and Captain Sheridan Cavitt followed Mack Brazel out to the ranch sometime on Sunday July 6. Marcel, in his interview with Linda Corley suggested they had left in the early afternoon, but I think it was more likely they headed out later in the day. In today’s world, it takes about three hours to drive from Roswell to the ranch. In 1947 the roads wouldn’t have been quite so good and the route might not have been quite so direct. It might have taken four or five hours. With sunset coming sometime around 9:00 p.m., and Marcel’s suggestion they arrived about dusk, it seems they might not have left Roswell much before four in the afternoon. The Hinds house near the Debris Field. I often assume a level of knowledge on the parts of those who visit here and shouldn’t do that. I thought the last posting was clear but there are questions that seem to transcend the point of that post. With that in mind, here is some clarification for everyone. There were some variables that I have ignored. First was the timing of the story told by Brigadier General Thomas DuBose. We all believed that the flight made by Colonel Al Clark was on Sunday afternoon, but that might not be right. 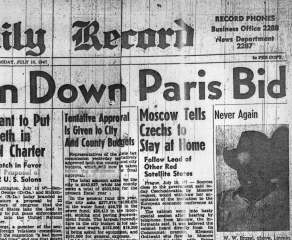 At the moment, this isn’t important to understanding the last post and I mention it only so that everyone is aware that DuBose had said that Clark made his flight to Washington, D.C. on Sunday, July 6, 1947 or on the same day that Mack Brazel went into Roswell. This is something that is the subject of another post. Marcel said that he had been eating lunch in the Officer’s Club when he got the telephone call from Wilcox. Marcel would say that he met with the sheriff, saw the material that Brazel had brought in with him and returned to the base. He spoke with the commanding officer, Colonel William Blanchard, who mentioned that they now had the counterintelligence guys there and he, Marcel, should take one of them with him. Marcel and Sheridan Cavitt met at the sheriff’s office, Marcel in his POV (privately owned vehicle, which is the military term for your car) and Cavitt, apparently in a military vehicle. They then followed Brazel to the ranch. Given all the moving around, it would seem that they probably left (note the qualification) around five in the afternoon, but Marcel would say later that it was early afternoon. They got out to the ranch about dusk, according to Marcel, which was too late for them to explore the debris field. The next morning Brazel saddled a couple of horses and he and Cavitt rode out to the site. Marcel drove in his car and given the terrain, that wouldn’t have been all that difficult. I have driven cars cross country in that area, so Marcel could have easily done it. At this point we have the sheriff who had apparently seen some of the debris on Sunday, Marcel and Cavitt following Brazel to the ranch on Sunday afternoon, and then all of them out on the debris field on Monday, July 7. They spent time out there and eventually all leave, with Marcel getting home late on Monday. 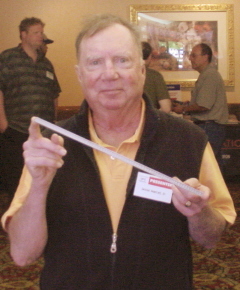 I-beam he saw in 1947. This suggests that at the time Marcel didn’t see anything that suggested to him that it was alien in nature. Unusual yes, but metallic debris is basically metallic debris and if you don’t have something more than that, it is impossible to make the leap to the extraterrestrial. Marcel would tell Corley about a beam that was small and squared, not like the tiny I-beam described by his son. They agreed that it was small and that there were pinkish/purplish figures on it. He mentioned the foil that he said couldn’t be winkled and had said that it was about the thinness of the foil in a pack of cigarettes. He had found a piece that was about two feet long. Marcel told Corley, “He [a fellow who worked for Marcel] said, ‘You see this piece of metal? ... I tried to bend it, tried to mark on it. You can’t mark it.’ … He took a sixteen pound sledgehammer and put the piece of metal on the ground and he hit it like that and it bounced off.” Marcel pointed the cigarette pack again and said that the foil was as thin as that. Anyway, according to Marcel, he got home late, but that could easily mean that rather than arriving at five or six in the evening, he got there are seven or eight. He had nothing that caused him to believe he needed to go to the base that evening. Instead, according to this testimony given to Corley, he waited until the next morning. He might have alerted Blanchard that he was back and Blanchard told him to wait until morning. Given my experience, realizing that it began some twenty years later, I would think that Marcel would have driven out to the base no later than seven-thirty the next morning. It was certainly fairly early and he would have reported to Blanchard, taking him samples of the material. Remember, this is 1947, and people aren’t thinking in terms of an alien spacecraft. Reading the newspapers of late June and early July, 1947, there are hints, but most of the speculation revolves around terrestrial-based technology. It might be Soviet, it might be the Navy, it might be something from White Sands, or it might be some kind of other experiment but no one really thought it was from outer space. We can speculate that there was a lot of classified message traffic going into the Roswell base; most of it would have been routinely destroyed when it was no longer valid. A purging of the files of classified would be accomplished on a regular basis, eliminating that material that was not relevant to the operation of the 509th Bomb Group. Nothing nefarious there. All military facilities that receive classified material routinely destroy it as it is superseded and no longer useful. There might have been messages about the flying disks, but they would have been informational rather than offering much in the way of explanation. Some of that might not have been classified but those messages are long gone. There is no way to verify what was being transmitted. There would have been nothing going into Roswell to suggest there was anything classified about these flying saucers at that point. The newspapers were filled with stories about them including explanations for them. The case out of Circleville, Ohio, is important to our discussion, because it suggests some sort of metallic material having been recovered, but again, it was nothing of a classified nature. The Circleville story struck me as important, not only because everyone there seemed able to identify the balloon for what it was while those in Roswell could not but also because it suggested that what they had wasn’t all that extraordinary. Blanchard, maybe having seen that story, but certainly having seen many of the others printed in the newspapers of the time, issued his press release about capturing a flying saucer. Given all that, Blanchard called Haut (Marcel certainly wouldn’t have thought to call the public relations guy) and either read to him a press release or gave him the information to write it himself according to what Haut would tell me later. 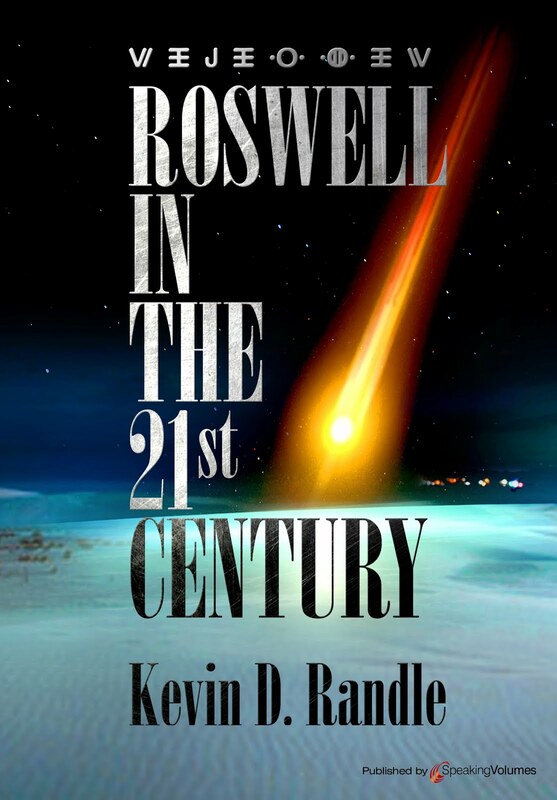 Haut then passed it around Roswell where both George Walsh and Frank Joyce put it on their respective news wires. At this point nothing was classified. It was just some rubble recovered in a rancher’s pasture seventy or so miles northwest of Roswell. It was unusual material, but no one was talking about anything classified, and even if you wish to bring in Mogul, that material, if it was what had been found, was not classified. Nobody was violating regulations at this point. For those who believe Roswell was alien, it would be clear that the second site where there was a craft and bodies was found sometime after the press release had been delivered. It seems, based on the documentation, that about fifteen minutes or so after Walsh received the press release, he put it on the wire. It was then too late to recall it, if that had been in their minds. The answer to the question about Marcel and Blanchard compromising classified information seems to be that they didn’t. At the time they acted, nothing was classified and they did what they thought to be the best thing to do. Blanchard thought they had a partial though mundane answer to the flying saucer mystery and ordered the press release. It was later that they received other, better information, but by that time the high headquarters had taken over. I think this covers the questions that are being asked. It does address some of the concerns and makes sense. 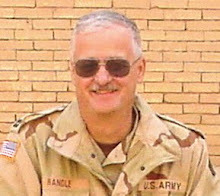 Blanchard just wanted people to know that the Army was on top of things and had pieces of one. The press release was designed to make the Army look good to the public and he couldn’t have envisioned the explosion of interest in the topic or the direction some research would take. He just thought he was doing something important for the community.